This novel shows that selfishness may lead to great power, but that power still requires selfless responsibility. 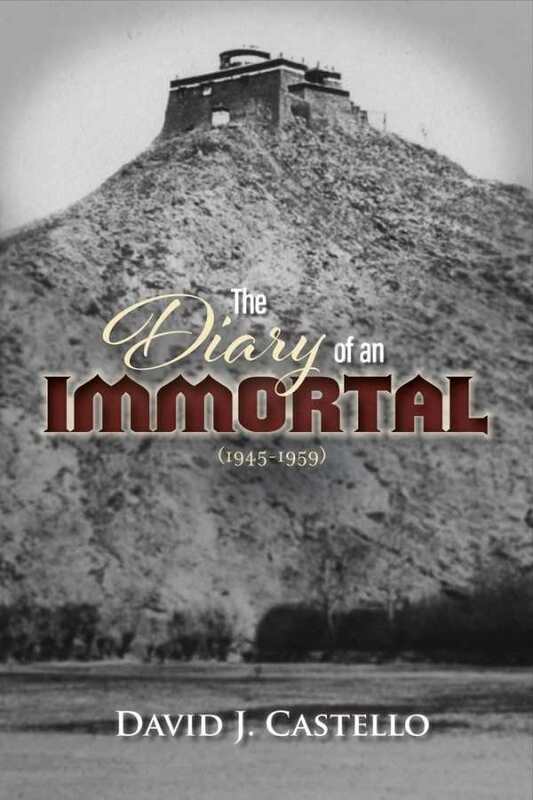 David Castello’s The Diary of an Immortal is an engrossing novel set in a rapidly changing world. Vivid details bring to life end-of-war Dachau, the vibrant jazz clubs of postwar New York City, and the war-torn Chinese mainland. Steven Ronson serves in World War II as a young Army medic. His troop enters Dachau, a concentration camp where the Nazis performed scientific experiments on prisoners. As his company searches the cottage of the Kommandant, Steven is handed a box of pill bottles. Developed by Nazi researchers, the pills grant immortality to whoever takes them. Compelled by the horrors of war, Steven steals the pills and secretly takes them. Now immortal, he is granted amazing abilities and pursues a career in New York City as a jazz saxophonist. When he improvises, however, he falls into a deep and unshakable trance, seeing visions, including one of Tibetan monks. Drawn to this vision, Steven travels to China to find out where the pills come from and to stop others with ill intentions from getting them. Detail fleshes out Steven’s all-too-human character. The story is told from his viewpoint as a frustrated medic who has watched hundreds of young men beg for their lives. Steven’s choice to steal the pills may seem selfish, but coming after his friend Lucky dies in his arms, it also seems desperate and natural. Other characters are also complexly drawn, including Lucky, a soldier in Steven’s troop; Kathy, Steven’s home-front love; Hines, a Cuban musician with a boisterous but fiery temperament; Albert, a former missionary to China who has insights into Steven’s visions; and Albert’s orphaned niece, Jennifer, a beautiful but hurt young woman. Even real-life figures, like Charlie Parker, Chairman Mao, and the Dalai Lama, end up playing a role in Steven’s story. With complex characters and settings, the plot moves at a gangbuster pace. Even Steven’s daily life in New York is never dull and includes events like him upsetting an Irish gang. Still, there are times when the story veers away from its well-constructed dramas, and the plot is sometimes moved forward through exposition or character dialogue. As Steven’s journey threads together military history, jazz music, Tibetan religion, and even the occult in a believable and engaging way, this reliance on exposition seems more economic than artistic. The Diary of an Immortal is a thrilling novel that is sure to appeal to anyone who enjoys action-adventure stories and historical fiction. It’s a novel that shows that selfishness may lead to great power, but that power still requires selfless responsibility.